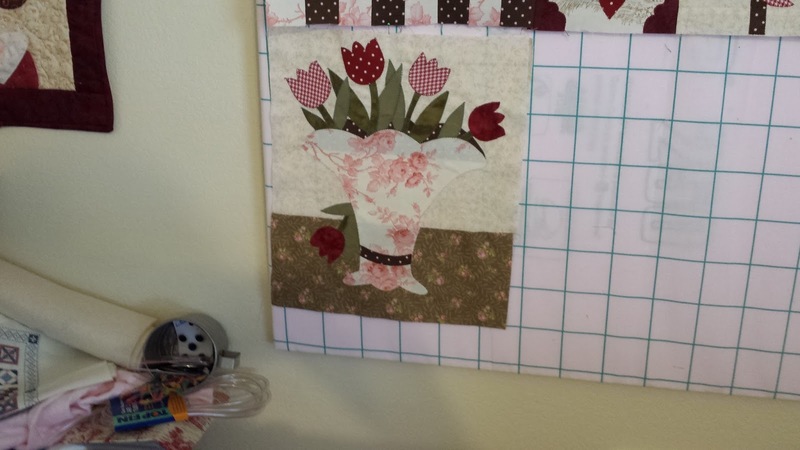 Blessings of Spring - rebloomed BOM: blocks #1, 2, 3, 4 done. A little bit of Boo: everything cut, all blocks are sewn. Traced and ready to embroider. 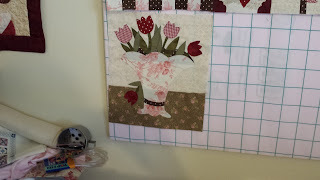 Shabby Roses Beauty Mystery Qlt: center block prepped, and hand embroidery started. 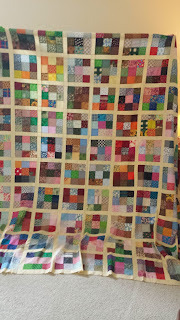 OK, I have seen the whole quilt and well, I am not thrilled with it. so, I decided, I am not going to finish it. I am just not head over heels in love. I haven't even half finished with the 1st block. so I am not vested in this project. it's pretty, and a lovely quilt. but I have lots more to work on. 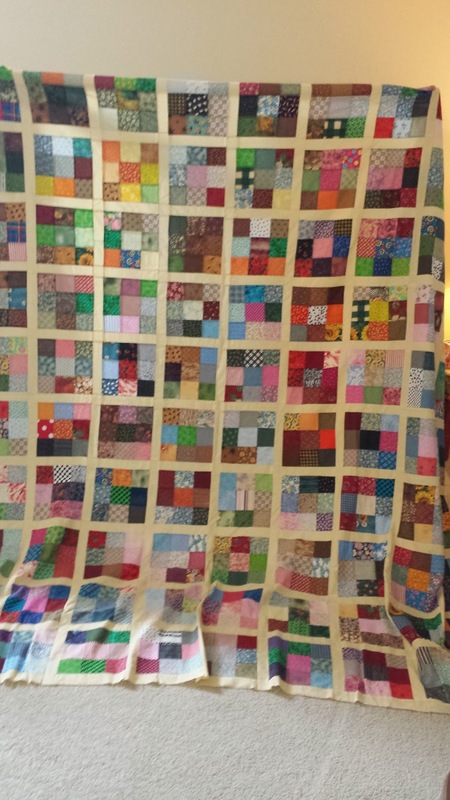 This is my mother's 3rd quilt. she wanted scrappy. the 9 patches are 3 1/2" squares. it's 104" square. Too big for me to quilt on my HQ16. I think this is her favorite one so far. I think she did a terrific job! Next quilt is a chevron with half square triangles. she is a little worried, but she can do it. 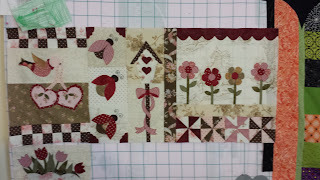 All the squares came from my stash, already cut. We had to buy the sashing. You want to hear something funny? I usually do not make anything much larger than a full size. Normally a throw size. But my Mom, she wants KING size! That just makes me laugh. And so far very little fabric has bought. just backings, some sashings, and that's about it. Has it made a dent? hmmmmm.... No. oh well... We will keep plugging away. Love your BOM, I too don't understand why they don't reverse the pattern for you!